The Simulation Center at Fairbanks Hall was recently accredited by the Society for Simulation in Healthcare. This accreditation in the area of Teaching/Education applies through Dec. 31, 2022, and signifies that the center demonstrates regular, recurring simulation educational activities with clearly stated objectives in the areas of knowledge, psychomotor skills and behaviors, and provides evidence of ongoing improvement of educational activities. The Simulation Center is a successful collaboration among IU Health, IU School of Medicine and IU School of Nursing to annually provide state-of-the-art simulation education and innovation to thousands of professionals and students in a multitude of medical events and scenarios. Read the Spirit of Medicine blog post for insight on how IU School of Medicine MD students take advantage of learning experiences at the Simulation Center. An annual tradition celebrating statewide unity and wellness, IU School of Medicine’s Second Year Show (2YS), led by MS2 students, will be held at 8 pm, Friday, Jan. 12, at the Madame Walker Theatre in downtown Indianapolis. A talent and musical/comedy sketch that satires life in medicine, this year’s show focuses on “Ashleigh” and her difficulties adapting to the stressful environment of medical school. After developing nightmares from her trials and tribulations, she continues to persevere through school with the help of her friends. Dave Roberts is all about speed. The North Carolina-based businessman cultivated a love of racing at an early age and has amassed a collection of autos that would make any fan jealous. There’s the 1978 Indy car that ran in the 500. A coveted ’16 Porsche and an ’08 Corvette. And the ’69 yellow-and-blue Camaro he partnered with Indy Car driver Alex Lloyd to race in the 2016 pro-am Brickyard Vintage Racing Invitational at the Indianapolis Motor Speedway. The multinational company he led for nearly a decade even sponsors Indy Car drivers, including 2015 Indianapolis 500 winner Juan Pablo Montoya. But Roberts’ obsession with moving fast doesn’t end at the race track. He and his wife, Susan, are providing much-needed fuel to Indiana University School of Medicine to accelerate research related to Alzheimer’s disease. Among other gifts, the couple gave $2 million that was used to recruit a highly respected Alzheimer’s researcher from the Cleveland Clinic and another $1 million to purchase high-tech equipment necessary for his work. 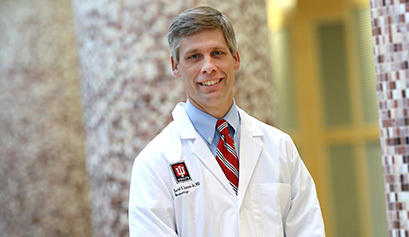 “My goal is to make Indiana University front and center in the fight against this disease,” said Bruce Lamb, PhD, who bears the title of Roberts Family Professor of Alzheimer’s Disease Research in recognition of the family’s generosity. Read the blog post to learn about Dr. Lamb’s research and the motivation behind the Roberts family’s gift. Nearly half of the 13 million older adults hospitalized annually in the United States are unable to make their own medical decisions and rely on surrogates, usually close family members, to make decisions for them. However, little is known about how these surrogates respond to the demands put upon them. A new study from the Indiana University Center for Aging Research and the Regenstrief Institute explores predictors and frequency of surrogate decision-maker distress and has found high levels of both anxiety and depression. The researchers report that provision of high levels of emotional support to surrogates during their family member's hospitalization was associated with more effective decisions and lower surrogate anxiety, depression and post-traumatic stress. The current Postdoc job posting website was retired on Nov. 30. Any positions listed on this site with an expiration date after Nov. 30 should be reposted to PeopleAdmin as no new positions will be added to the current website. Effective immediately, postdoc positions may be posted to IU School of Medicine’s applicant tracking system, PeopleAdmin. Faculty will need to work with their Human Resources Business Partner (HRBP) to get the positions posted. If you do not know who your HRBP is, contact the Office of Postdoctoral Affairs. Postdoc jobs will be searchable on the jobs.iu.edu website, and candidates will be able to apply online. Postdoc job postings are reachable from the Jobs at IU website and linked directly from the IU School of Medicine website. Postings in PeopleAdmin are eligible for free, automatic advertising on HigherEdJobs , Insight Into Diversity and HERC (action required to post on HERC). For more information, a PeopleAdmin user guide is available. RADxx, a networking group for the advancement of women in imaging informatics, recently announced award winners for Outstanding Leadership in Medical Imaging Informatics, and two IU School of Medicine residents were recognized. The awards aim to honor individuals who have helped lead the way, or are emerging fresh voices, in imaging informatics. Judy W. Gichoya, MD, was awarded the Rising Star award, which recognizes the next generation of women leaders in imaging informatics. Dr. Gichoya has more than six years of informatics experience and has worked for global health initiatives in several countries. Lindsey Shea, MD, a diagnostic radiology resident, was also recognized as an honorable mention for this award. The winners were announced on Nov. 29 at the annual Radiological Society of North America conference. IU School of Medicine Visual Media will be closed Monday, Dec. 25-Monday, Jan. 1. The team will resume regular office hours, 8:30 am-5 pm, on Tuesday, Jan. 2. To contact the office, call 317-274-7478 or e-mail vismedia@iu.edu. Excellence in teaching is recognized each year by the Indiana University Board of Trustees through the Trustees Teaching Award. Nominations for the 2018 awards are now being accepted with a deadline of Feb. 2, 2018. Applications for the Indiana Medical Student Program for Research and Scholarship (IMPRS) are now being accepted. IMPRS facilitates IU School of Medicine medical student participation in various medical research and experiential opportunities, including laboratory, clinical, health research outcomes and community health education. Registration is available for the 2018 RESPECT Center conference, Let’s Talk Palliative Care: Caring for the Complex Patient. The conference will be held from 7:30 am-4 pm, Friday, March 2, at the Ritz Charles in Carmel, Indiana. A pre-conference workshop will take place from 12:30-4:30 pm, Thursday, March 1. Poster guidelines are available, and the submission deadline is 5 pm, Friday, Jan. 19. IU School of Medicine receives research funding through gifts from the Ralph W. and Grace M. Showalter Research Trust Fund. Areas of appropriate biomedical research eligible for funding are broad and described as “the type of medical research that is most likely to permanently benefit mankind.” (Donor intent prohibits the use of Showalter Trust funds for research in psychiatry, sociology or social studies.) 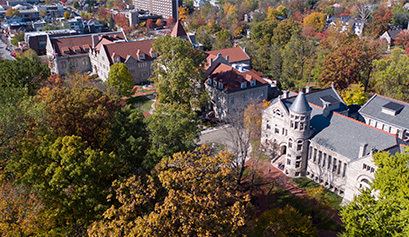 Current full-time faculty (non-visiting status) with a primary IU School of Medicine appointment and a rank of assistant professor or assistant scientist are eligible to apply for Showalter Research Trust funding. Applications for funding beginning July 1, 2018, must be routed to the Office of Research Administration (ORA) by 5 pm, Tuesday, Jan. 9. ORA-approved applications should then be uploaded to the CTSI website by Tuesday, Jan. 16. Applications should have a maximum requested amount of $60,000. Questions? Email Zullymar Jimenez, sponsored programs manager, at zjimenez@iu.edu. The Indiana University Board of Trustees has approved a merger between two schools at IUPUI. The new School of Health & Human Sciences will strengthen the role that the campus plays in supporting the health and well-being of Hoosiers across the state and beyond. A task force was formed earlier this year to explore the feasibility of realigning IUPUI's School of Physical Education and Tourism Management and School of Health and Rehabilitation Sciences. In a November vote, faculty and staff from both schools expressed overwhelming support for the merger and the opportunities it will create for members of the school.